We are totally focused on providing top, responsive service for your fulfillment outsourcing and supply chain management needs. To help you, as you consider your options for fulfillment providers, we've provided just a sampling of comments from clients who have written to us about our services and their experiences with us. We provide unique, flexible, and highly personalized services to our fulfillment customers. Our references will help you to see our benefit from the eyes others who have worked closely with us. For more detailed references or client names and telephone numbers, please contact Gene Kent at Gene@MedallionEnterprises.com. We welcome your review and interest in our services. Medallion Fulfillment & Logistics 5 out of 5 based on 5 ratings. 5 user reviews. Medallion Fulfillment & Logistics has received a top rating from clients in regards to their satisfaction with services. "Our company has been utilizing the full range of Medallion Fulfillment & Logistics fulfillment services for many years. 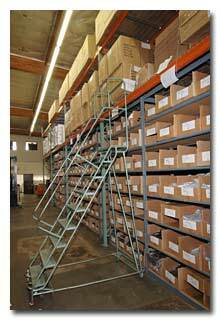 We are also a family owned and operated mail order business servicing a large national customer base from offices located in the greater Los Angeles, California area. "We import and wholesale to the trade, over 500 hair accessories and hair care products manufactured in Europe. Medallion Fulfillment & Logistics receives shipments of our merchandise from global vendors on a regular basis. The merchandise is efficiently inventoried, warehoused, assembled, and ultimately made ready for pick & pack and shipping to our customers once our orders have been received and processed by members of Medallion's staff.
" We also entrust Medallion with all of our billing functions as well. Each and every one of our work processes are addressed and completed on a timely basis, and without fail. No longer does our company carry the financial and physical burdens and responsibility normally associated with managing our own on-site staff or facility. "If you are searching for a company and staff that are able to handle any type of outsourced order fulfillment processes, Medallion Fulfillment & Logistics and the Kent's are your answer!" "My firm's dealings with Medallion Fulfillment & Logistics have been a classic win-win business relationship. We consider Medallion a strategic partner in our west coast distribution efforts and appreciate the relationship we share. Their handling of our logistic needs are always handled in a quality and professional manner." "The executives at Medallion Fulfillment & Logistics have been here with me through 'thick and thin'. These guys are really dedicated to what they do... given the amount of detail that is required in the fulfillment business, I don't know how they do it!" "I work as the webmaster and customer service contractor for a client who uses Medallion Fulfillment & Logistics as their fulfillment provider. I find the Medallion staff friendly, knowledgeable, and personable. I can trust that what they say they will do to help a customer gets done promptly and without follow-up from me from their track record. I find the principles at Medallion extremely helpful, eager to share their wealth of knowledge in the fulfillment and warehousing industry, and honest to deal with. I have and would highly recommend their services to all of my own clients." "The staff at Medallion Fulfillment & Logistics are efficient, caring, and prompt – I am headache-free."